Whether you are starting from scratch or starting over, there is a right way and several wrong ways to set up a QuickBooks® file. Learn how to do it right the first time. Avoid some of the common mistakes we see people make. Learn how to customize forms and templates and create QuickBooks® reports that are useful management tools for your business. Understand the difference between profits and cash. This is a session designed exclusively for tax preparers, enrolled agents and accountants. We will cover advanced level topics to help you streamline the process and best practices for troubleshooting your client QuickBooks® file during this busy tax season. Courses are $35 each and held in the Community Room at Granite State College-Conway. To register please call Susie at (603) 447-6622, email susie@mwvec.com, or register online. Learn How To Add & Edit Multiple List Entries in QuickBooks with Rhonda Rosand CPA and Advanced Certified QuickBooks ProAdvisor! Learn How To Write Off A Bad Debt In QuickBooks with Rhonda Rosand, CPA, Advanced Certified QuickBooks Proadvisor of New Business Directions, LLC. Chart of Accounts in QuickBooks Why the Chart of Accounts in QuickBooks is the Most Important List! Say goodbye to Winter and hello Spring! The seasons are changing before our eyes and you’ve probably heard a few remarks about tax/mud season, upcoming Summer plans and of course everyone’s favorite thing to do; Spring cleaning. Okay, maybe it’s not everyone’s favorite thing to do but here is some helpful advice for Spring cleaning your QuickBooks file. 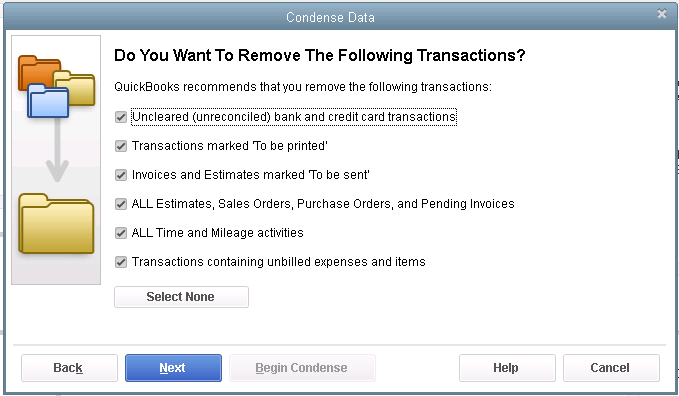 Figure 1: If some transactions won’t go through or QuickBooks shuts down when you click on the save button, you may have a corrupted company file. One thing you can do on your own is to start practicing good preventive medicine to keep your QuickBooks company file healthy. Once a month or so, perhaps at the same time you reconcile your bank accounts, do a manual check of your major Lists. Run the Account Listing report (Lists, Chart of Accounts, and Reports). Ask yourself: Are all of your bank accounts still active? Do you see accounts that you no longer use or which duplicate each other? You may be able to make them inactive or merge duplicates. Be very careful here. If there’s any doubt, leave them there. Do not try to fix the Chart of Accounts on your own. Let us help or speak with your tax preparer. Do not make accounts with balances inactive. Figure 2: You might run this report periodically to see if it can be abbreviated. If there are Customers and Vendors that have been off your radar for a long time, consider removing or making them inactive – once you’re sure your interaction with them is history. Same goes for Items and Jobs. Do not remove customer jobs with balances. Go through the other lists in this menu with a critical but conservative eye. One of the reasons QuickBooks files get corrupt is simply because they grow too big. That’s either a sign of your company’s success or of a lack of periodic maintenance. QuickBooks does contain some built-in tools to be run occasionally to minimize your file size. 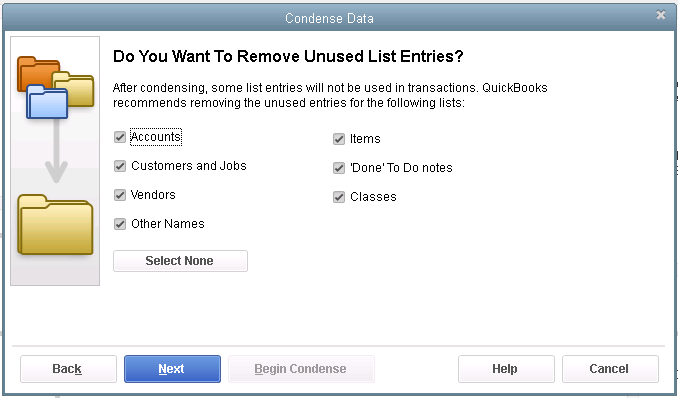 QuickBooks contains a Condense Data utility that can do this automatically. But just because QuickBooks offers this tool doesn’t mean that you should use it on your own. The program’s documentation for this utility contains a list of warnings and preparation steps a mile long. We recommend that you do not use this tool. Same goes for Verify Data and Rebuild Data in the Utilities menu. If you lose a significant amount of company data, you can also lose your company file. It’s happened to numerous businesses. Figure 3: Yes, QuickBooks allows you to use this tool on your own. But if you really want to preserve the integrity of your data, let us help. The best thing you can do if you notice problems like this cropping up in QuickBooks – especially if you’re experiencing multiple ones – is to contact us. We understand the file structure of QuickBooks company data, and we have access to tools that you don’t. We can analyze your file and take steps to correct the problem(s). Your copy of QuickBooks may be misbehaving because it’s unable to handle the depth and complexity of your company. It may be time to upgrade. If you’re using QuickBooks Pro, consider a move up to Premier. And if Premier isn’t cutting it anymore, consider QuickBooks Enterprise Solutions. There’s cost involved, of course, but you may already be losing money by losing time because of your version’s limitations. All editions of QuickBooks look and work similarly, so your learning curve will be minimal. 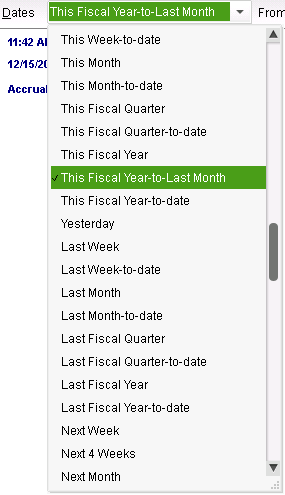 Also, try to minimize the number of open windows that are active in QuickBooks. That will improve your performance. And what about your hardware? Is it getting a little long in the tooth? At least consider adding memory, but PCs are cheap these days. If you’re having problems with many of your applications, it may be time for a hardware upgrade. We’ve suggested many times that you should contact us for help with your spring cleanup. While that may seem self-serving, remember that it takes us a lot less time and money to take preventive steps with your QuickBooks company file than to troubleshoot a broken one. Now open those windows and doors, go outside and enjoy the upcoming Spring weather! QuickBooks 2016 Desktop was recently released and there are a few new features that you will want to take a look at to see if it has something worth upgrading for. The Bill Tracker is similar to the Income Tracker in the Customer Center that was released as a new feature in QuickBooks 2014 and improved with QuickBooks 2015. The Bill Tracker is located in the Vendor Center and allows a Snapshot View of Purchase Orders, Open Bills, Overdue Bills and Bills that have been paid in the last 30 days. Transactions can be managed from this area and batch actions can be taken to print or email and to close Purchase Orders and Pay Bills. In the past, we had choices for date ranges on financial reports of This Fiscal Year or This Fiscal Year-to-Date as well as This Month or This Month-to-Date, none of which worked well for month-end reporting purposes. We now have This Fiscal Year-to-Last Month which allows us to print our financial reports as of the end of the Last Month, through which accounts are typically reconciled. This will allow us to Memorize Reports with the correct date instead of saving with a Custom Date that needs to be changed each time. Sales Receipts, Invoices, Estimates and Purchase Orders all have an Email Later check box and it’s a “sticky” feature, meaning that once selected, it remembers for future transactions. In the past, we would accumulate many documents in the queue to be sent later and if we wished to clear the queue, it would have to be done individually. With this release, under the File menu, Send Forms, we can now Select All and click Remove. 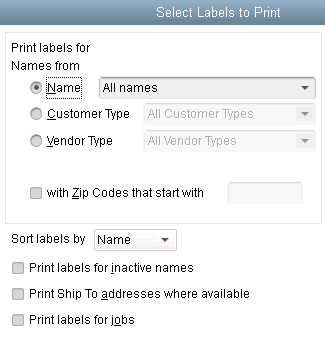 QuickBooks 2016 has the ability to print continuous feed labels and we can select from any of the Names Lists as well as by Customer or Vendor Type and by Zip Code. 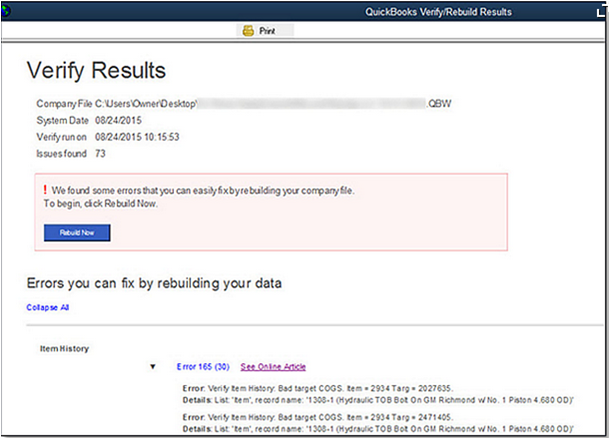 QuickBooks 2016 allows you to View the Errors and shows links to Knowledgebase Articles about the errors encountered. This saves a lot of time hunting and pecking through the Notepad QBWIN.log for the specific details about the error. Unless you see something in these changes that has been an issue for you in the version you are using now, there is no real reason to upgrade. If Intuit stays true to form, the 2013 version of QuickBooks will be sunsetted in May of 2016 at which time those users will be required to update if they wish to continue using any of the integrated services such as online banking, merchant services, payroll and email from within the program. 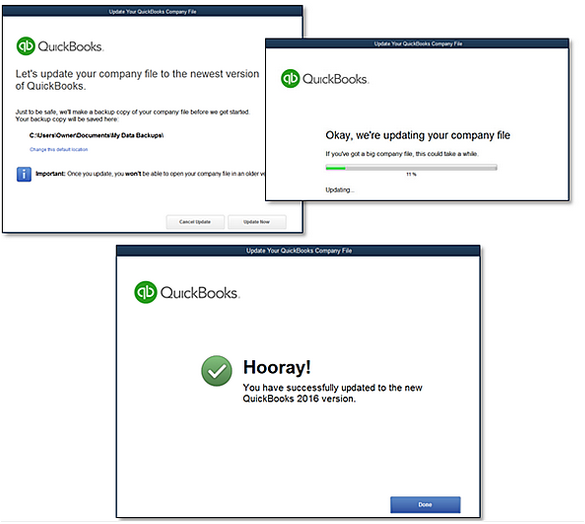 A couple of years ago, QuickBooks® gave Accounting Professionals a tool just for us – it’s only in the QuickBooks® Accountant and QuickBooks® Enterprise Accountant versions. It’s called Period Copy and it allows us to extract transactions between a set of dates for a specified period of time and condense transactions outside of the range. This preserves transactions in the condensed file only for a particular period with entries prior to that period summarized and entries after that period removed. This is useful for clients with file size and list limit issues as well as for third-party requests of information – not only for audit requests, but also in the event of a business sale, a divorce or legal dispute when you do not need to provide the entire QuickBooks® file. First thing – BACKUP your data file. You are creating a new file to be issued to a third-party and you do not want to overwrite your working file. Accept the prompt that it is ok to lose Budget data. 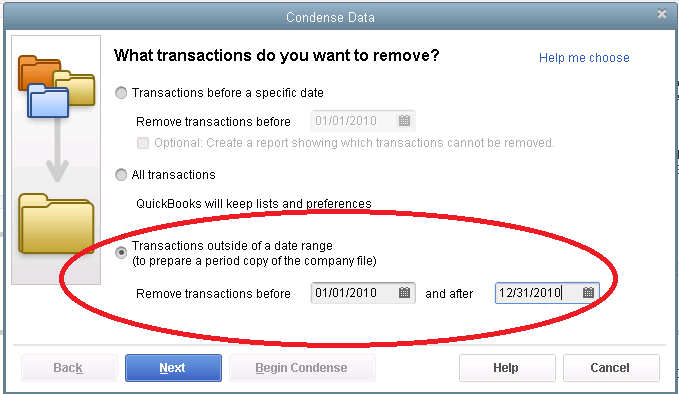 When it prompts you for what transactions you want to remove, select “Transactions outside of a date range” to prepare a period copy of the company file. Set your before and after dates to include the period you want to keep. 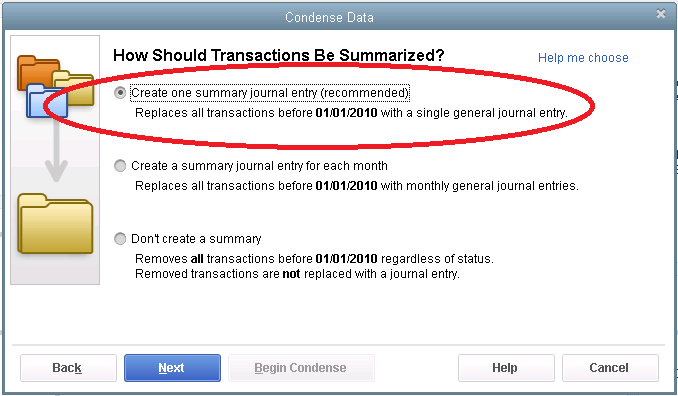 Then when it prompts you how transactions should be summarized, choose “Create one summary journal entry“. Remove the unused list entries. 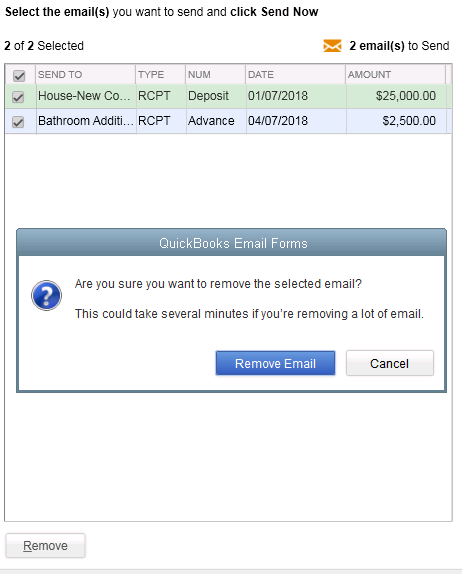 Once complete, you will have a QuickBooks® data file with only the relevant transactions for a specific period of time and you won’t be disclosing more information than need be. Current Assets include all of the items the business owns that are liquid and can easily be converted to cash within one operating cycle, typically a year’s time. The most common types of current assets include the balances in the checking and savings accounts, receivables due from clients who haven’t paid their invoices, and inventory for resale. Int angible assets are assets that have value but no physical presence. The most common intangible assets are trademarks, patents, and Goodwill. Goodwill arises out of a company purchase. Investments that are not easily liquidated will also be listed under Long-Term Assets. Bankers and investors want to know how liquid a company is. Comparing current assets to current liabilities is a good indicator of that. Some small businesses have loan covenants requiring that they maintain a certain current ratio or their loan will be called. The current ratio of your business is equal to current assets divided by current liabilities. Bankers like this amount to meet or exceed 1.2 : 1 (that’s 120%: 100%, although this can vary by industry). Next time you receive a balance sheet from your accountant, check out your current and long-term sections so that you’ll gain a better understanding of this report. As Accountants we default to the tried and true – the journal entry – we use the traditional system of accounting to record, adjust and correct all things. A debit here, a credit there and voila, we are done. Not so in QuickBooks® – Journal entries do not use “Items” and items are the backbone of all the subsidiary reports in QuickBooks®. When you run job profitability reports, the costs recorded by journal entries do not show up on the Profit & Loss by Job reports. This holds true for any item-based reports in QuickBooks®. 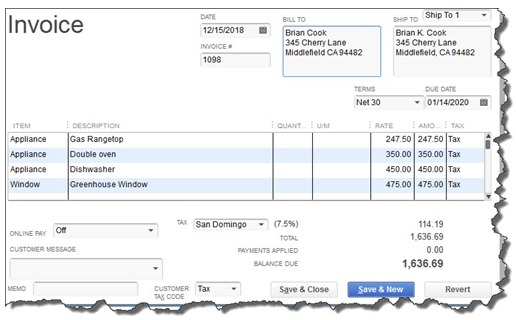 QuickBooks® likes to have all transactions start with the source document – a Sales Receipt, an Invoice, a Credit Memo, a Payment Receipt, a Deposit, a Bill, a Credit, a Bill Payment, a Check, a Credit Card Charge, a Statement Charge, an Inventory Adjustment, a Sales Tax Adjustment, a Sales Tax Payment, a Payroll Check or a Payroll Liability Payment. There are very few reasons to create journal entries in QuickBooks® and they should be limited to non-transactional entries with the exception of outsourced payroll. If you use a third-party payroll service like Paychex® or ADP, the payroll company sends you reports. To record the numbers from those reports into your company file where you need them, you can use journal entries. You may also need to enter year-end adjustments for Depreciation, Amortization, Prepaid Expenses, Deferred Revenues, Accrued Payroll and Taxes or to allocate Net Income to Partner Equity accounts. These may be done in the form of journal entries and/or reversing entries. Otherwise, it’s best to use the source documents. Using the forms allows you to maintain the integrity of the management reports like Sales by Customer or Sales by Item. You should never make journal entries with Accounts Receivable and/or Accounts Payable accounts. While it may clear out the account to zero, you will notice on your Aging Reports that the fixes live forever in the clients’ QuickBooks® file. All of that being said; I am convinced that some of you are still going to insist on using journal entries for adjusting Accounts Receivable and/or Accounts Payable in QuickBooks®. With that in mind, a final word of caution – do not use these particular Balance Sheet accounts that require a Customer or Vendor name to be associated with them as the first line in any journal entry. The first line in a journal entry is the Source of the transaction. All subsequent lines are Targets of the transaction. When you enter a Source Name, QuickBooks® copies that name into any Target Name that you leave blank. When you make a journal entry in QuickBooks® with Accounts Receivable/Accounts Payable as the first line item and assign a Customer/Vendor Name to that line, each subsequent line uses that Name even if you leave it blank. All lines of the journal entry are associated with the Customer Name “Bill Smith”. Copying the Source Name creates issues when you filter a report for the Customer: Job Name and the report includes transaction lines that you do not intend; it distorts the report. Create a dummy name on the Other Names list e.g. “No Name” and enter it on each of the Target lines. Session #1: Introduction to QuickBooks® Products – What’s Right for Me? Whether you are keeping the books for your own business or for others, you need to be using the right tools. We will cover a multitude of options under the Intuit umbrella. Learn how to navigate your way around the Quickbooks Desktop and online versions, how to begin setting up your own company file and avoid some of the common pitfalls. Learn how to customize forms and templates and create Quickbooks reports that are useful management tools for your business. Understand the difference between profits and cash. To register, call Holly at (603) 447-6622, or email her at holly@mwvec.com.